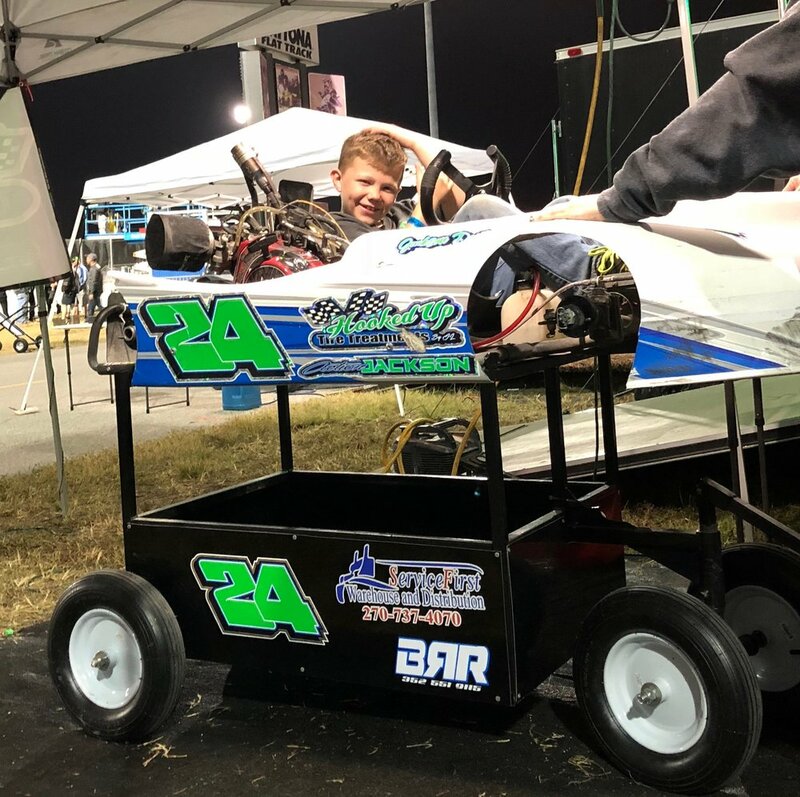 PORT ORANGE, FL - This month's WKA #RaceLife Spotlight racer has won two state championships as a rookie in this year alone. Jackson Denton is 8 years old and has big ambitions to become a professional racer. Jackson races in the dirt racing championships held every year during #KartWeek at Daytona International Speedway as well as the Florida Dirt Championship Series and Vega Dirt Series. It seems as though he is wasting no time in making a name for himself in the racing world. Read more about Jackson below. "Two years, since I was 6." "My dad is a big race fan and I started watching NASCAR races with him. I told him I wanted to be a racer so he said, “let’s give it a shot." WHAT IS YOUR FAVORITE PART OF RACING? "We put in a lot of work, so winning makes it all worth it." "We hope to win 2 more state championships in Florida in 2018 and also travel to the Carolinas to race in a few big events." WHO IS YOUR FAVORITE RACER? "Jeff Gordon will always be my favorite." "Florida Dirt Motor Speedway in Land O Lakes, Florida." WHAT IS YOUR FAVORITE PART ABOUT WKA RACES? "Everyone is really nice that works there. They know how to put on a great event." WHICH WKA SERIES DO YOU RACE? "The dirt championships, but we plan on running 2 or 3 WKA events this year." WHAT ELSE DO YOU DO BESIDES RACE? "I play soccer, baseball, football, but racing is my full-time gig." "I would love to be a full time racer. If that doesn’t work out, I’ll be a professional soccer player." IS THERE ANY OTHER INTERESTING THINGS YOU WOULD LIKE TO SHARE WITH US? "I also won 2 state championships this year as a rookie. The Florida Dirt Championship Series and the Vega Dirt Series Florida. This couldn’t be possible without great people; My dad, mom, uncle Jim, my motor guy Don, tire guy Jeffery, and my sister for cheering me on."